Voir les résultats lus par "CantoneseClass101"
Do you want to learn Cantonese the fast, fun and easy way? And do you want to travel to Hong Kong and get around like a pro? Then this is the audiobook for you. 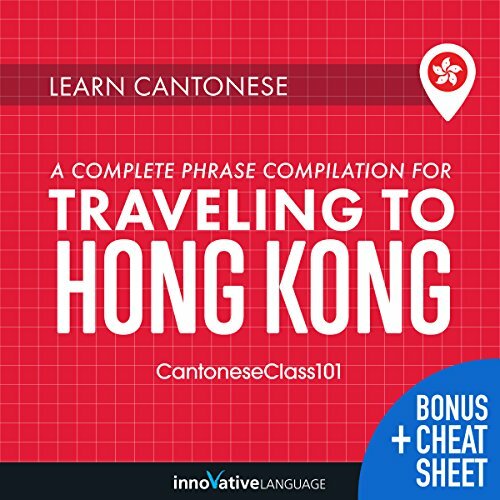 Learn Cantonese: A Complete Phrase Compilation for Traveling to Hong Kong is designed for absolute beginner learners and travelers. You learn the must-know travel phrases, survival phrases, vocab, and cultural insights to make your trip to Hong Kong a breeze. All were hand-picked by our team of Cantonese teachers and experts. 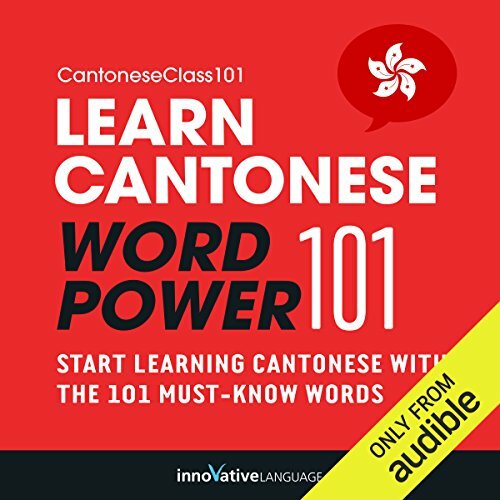 Master Cantonese with Learn Cantonese - Word Power 101. 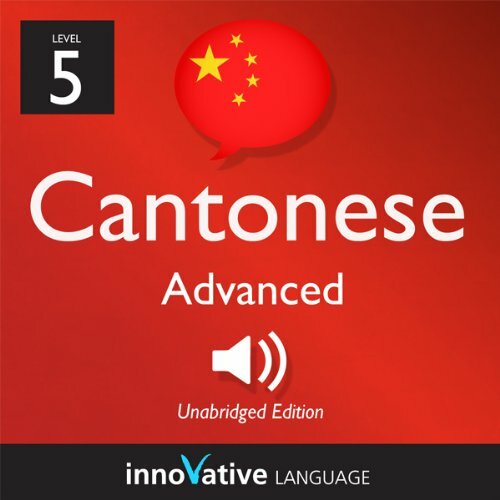 This audiobook is a completely new way to learn Cantonese vocabulary fast - and for free! Start speaking Cantonese in minutes with the powerful learning methods you will master in this book. The vocabulary words you'll find in Learn Cantonese - Word Power 101 were hand selected by our Cantonese language teachers as the top 101 most frequently used words in the Cantonese language. Master the basics of Cantonese conversation! 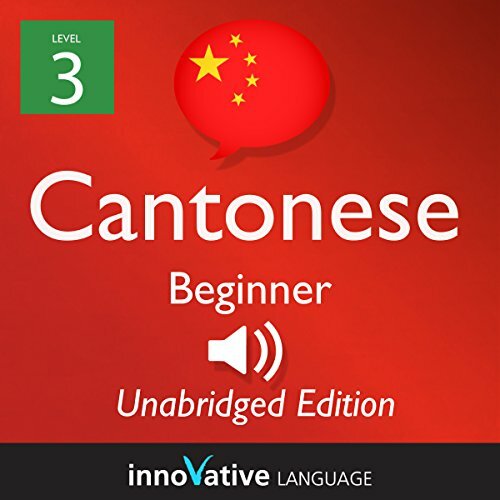 Start speaking Cantonese in minutes and learn key vocabulary, phrases, and grammar in just minutes more with Beginner Cantonese. Our native Cantonese hosts break down all the sentences, grammar, and more in a simple, easily understandable way! The Survival Phrases series is designed to provide world travelers with essential phrases in multiple languages and cultural insight you will not find in a textbook. In this 25-lesson series, you'll learn vital Cantonese phrases in each lesson that will help prepare you for an upcoming trip. 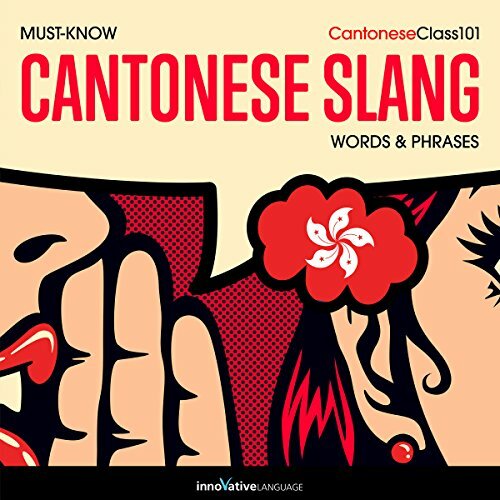 Learn Cantonese: Must-Know Cantonese Slang Words & Phrases by CantoneseClass101.com is designed for beginner-level learners. You learn the top 100 must-know slang words and phrases that are used in everyday speech. All were hand-picked by our team of Cantonese teachers and experts. Do you want to learn about Hong Kong culture, holidays, and traditions? And do you want to learn a bit of Cantonese along the way? Then this is the audiobook for you. 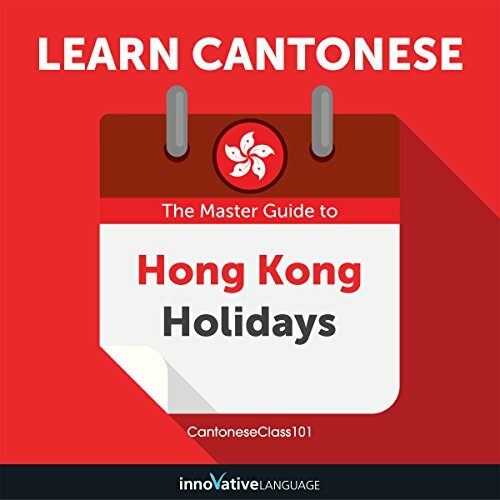 Learn Cantonese: The Master Guide to Hong Kong Holidays for Beginners is designed for learners of all levels and anyone interested in Hong Kong culture. Do you want to learn Cantonese the fast, fun and easy way? Then this huge audiobook compilation is for you. 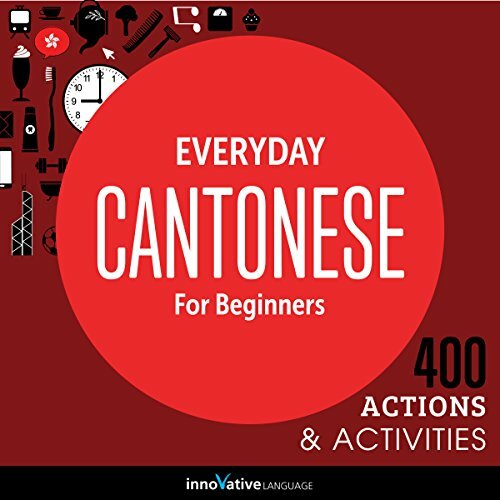 Learn Cantonese for Everyday Life: The Big Audiobook Collection for Beginners is for people who want to finally speak and use real-life Cantonese. You learn the must-know conversational phrases, questions, answers, social media phrases, and how to talk about your everyday life in Cantonese. All words and phrases were hand-picked by our team of Cantonese teachers and experts. 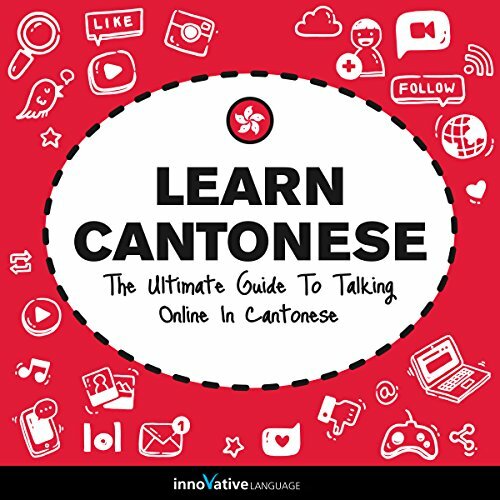 Want to learn Cantonese that's not taught in textbooks and schools?Then take your Cantonese to the next level with Learn Cantonese: The Ultimate Guide to Talking Online in Cantonese.Learn how to communicate on social media just like Cantonese natives do on a daily basis.With this Audiobook, you'll learn how to make comments, post your reactions and ask questions on social media. You'll learn everything from catching up and asking what your friends are up to down to wishing them a happy birthday and much, much more. Are you learning Cantonese? Knowing more words is one of the best ways to speak and understand more Cantonese. And, if you want to sound like a native speaker, you'll need vocab that's relevant to Hong Kong's culture and daily life and that is actually used by Hong Kong people. Want to start speaking Cantonese minutes into your first lesson? 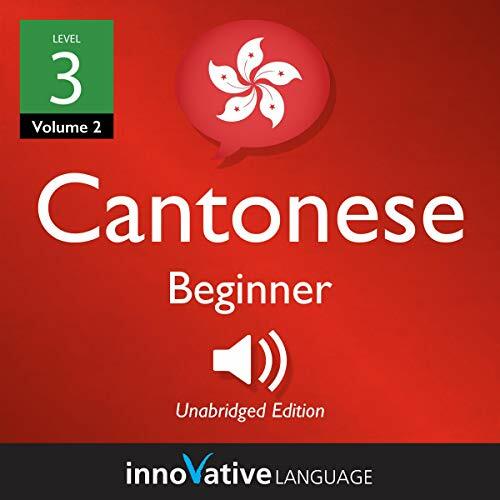 With 3-Minute Cantonese: 25 Lesson Series Audiobook, you will easily learn the basics of Cantonese conversation with lessons made by real teachers. The best part? Each lesson is three minutes long. You also get the bonus PDF version of the audiobook to read along. 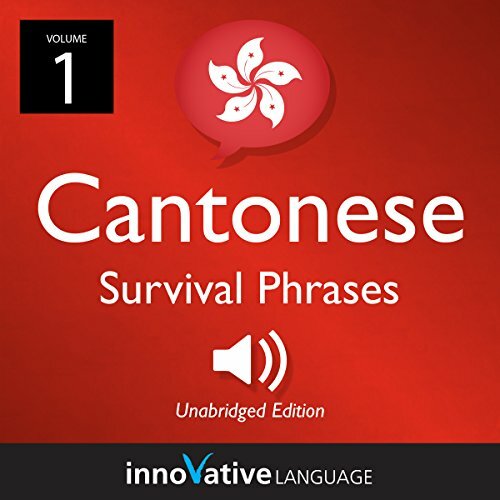 This audiobook is a new way to learn and speak Cantonese fast. Each chapter covers a daily scene such as morning activities, going to work, hanging out with friends, and much more. You'll be able talk about your day easily as you learn practical phrases in every chapter. With each phrase you'll get the audio pronunciation, bonus vocabulary, and more. Simply listen and repeat out loud. Master the basics of Cantonese conversation! 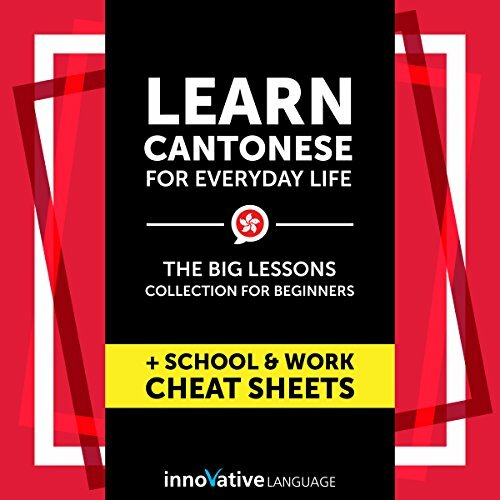 Start speaking Cantonese in minutes, and learn key vocabulary, phrases, and grammar in just minutes more with Beginner Cantonese. Our native Cantonese hosts break down all the sentences, grammar, and more in a simple, easily understandable way! Welcome to Hong Kong! Put your Cantonese to the test! 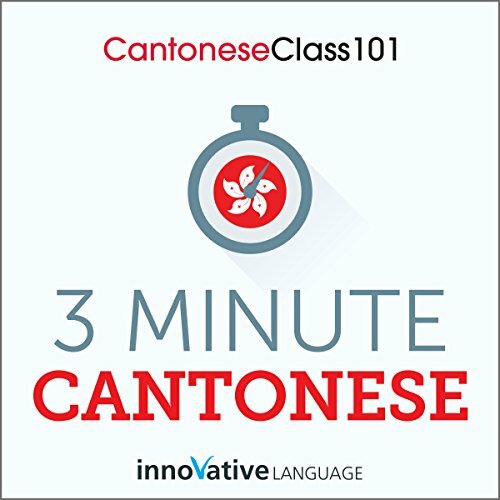 Start speaking Cantonese in minutes, and learn key vocabulary, phrases, and grammar in just minutes more with Intermediate Cantonese. Our native Cantonese hosts break down all the sentences, grammar, and more in a simple, easily understandable way! 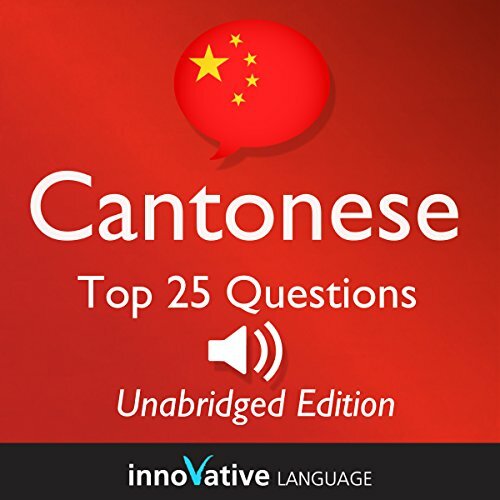 Learn about the Cantonese language, Cantonese Cultural Tips, and More! In this powerful audiobook, you'll master responses to all the basic questions, from "What's your name?" to "Where are you from?" and more. Built into every lesson you'll find opportunities for extensive practice, self-review, and self-evaluation. By the end of the book, you'll not only be answering these questions, but asking them yourself! If you haven't studied Cantonese but want to be well prepared for simple social situations, this is the audiobook for you. Welcome to Hong Kong! Put your Cantonese to the test! 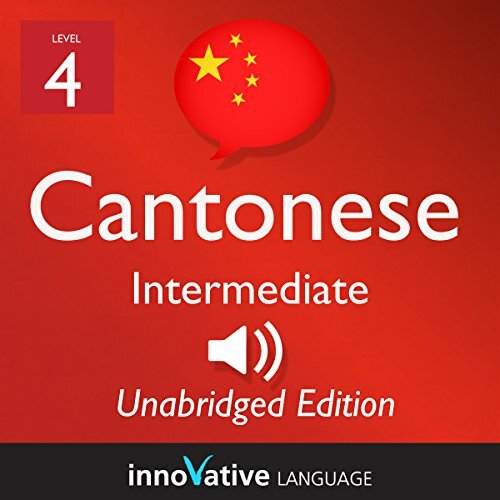 Start speaking Cantonese in minutes, and learn key vocabulary, phrases, and grammar in just minutes more with Intermediate Cantonese. Our native Cantonese hosts break down all the sentences, grammar, and more in a simple, easily understandable way! Learn about the Cantonese language, Cantonese cultural tips, and more! This isn't stale textbook material--it's fun, effective, and practical. Master Cantonese with Learn Cantonese - Word Power 2001. 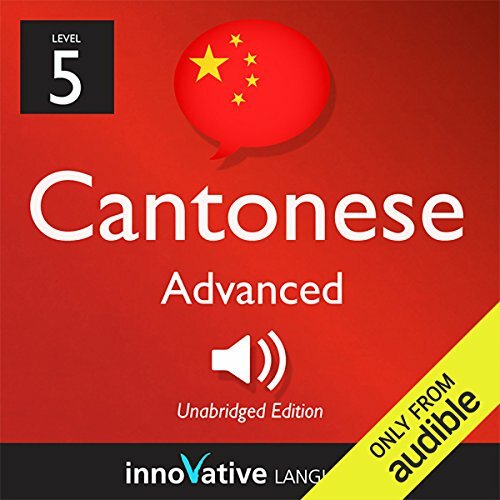 This audiobook is a completely new way to learn Cantonese vocabulary fast! Start speaking Cantonese in minutes with the powerful learning methods you will master in this book. 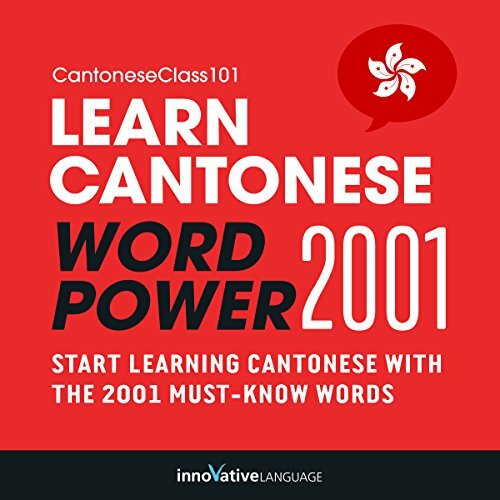 The vocabulary words you'll find in Learn Cantonese - Word Power 2001 were hand selected by our Cantonese language teachers as the top 2001 most frequently used words in the Cantonese language. 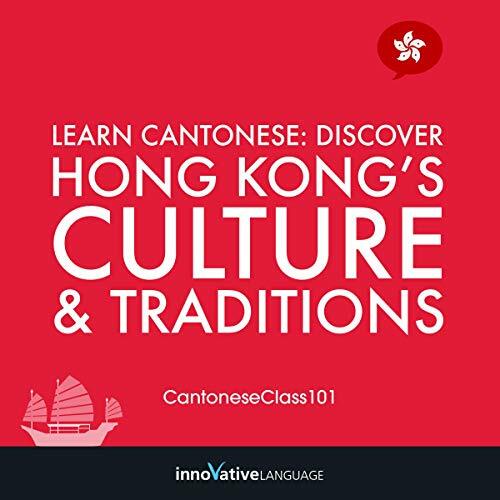 With Advanced Cantonese, you get Cantonese-only lessons and learn the all about the country, culture, history, folklore, arts and popular destinations. Along the way, you'll pick up sophisticated expressions and advanced grammar.